Wedding season is upon us, and summer is a beautiful time to have a wedding! Turf Valley Catering Director Jenny Betlejewski shares a few tips and inspiration for planning your dream summer wedding. Warm days and longer evenings make summer months a sought after time for weddings. You set the tone for the event – whether it be a swanky, no-holds-barred, late night black tie affair, or an easy, carefree southern barbecue with its roots in summer’s bounty. 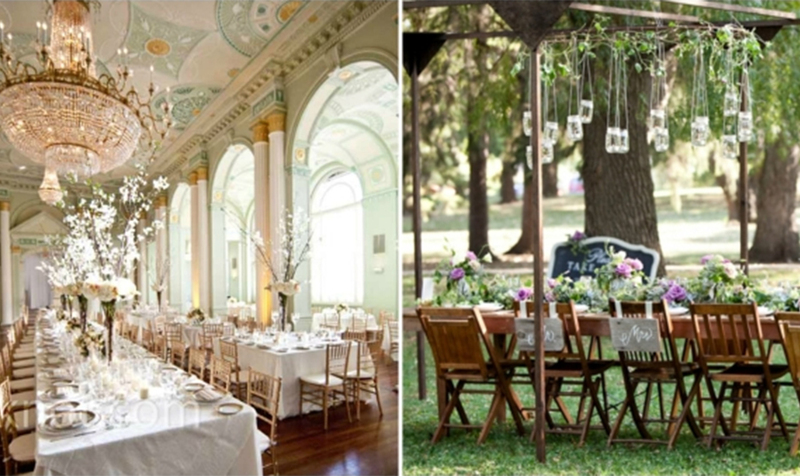 More often, couples mix the two for a laid back feel even with a high-style event. Dresses can be cut shorter and even shorts might be an option for groomsmen in hot weather or perhaps seersucker suits. If you are having an outdoor ceremony, provide sunglasses so guests aren’t “blinded by your love” or parasols for your attendants to keep cool. Incorporate your pet into the walk down the aisle of your outdoor wedding or bring the flower girl or ring bearer down the aisle in a trusty red wagon. Find a classic or contemporary vase for centerpieces based on your style, and fill with zinnias, sunflowers and Queen Anne’s Lace for décor or bunches of small silver cups with Gerbera Daisies in sherbet shades for a powerful color punch. Include baskets or bowls of peaches, plums and various berries for edible displays. Incorporate the produce into a fresh fruit pie or cobbler display for dessert - perhaps with just one layer of cake to cut into for ceremony. Offer a variety of lemonades and iced teas, garnished with mint and infused with various berries, with or without alcohol for adults and kids alike. 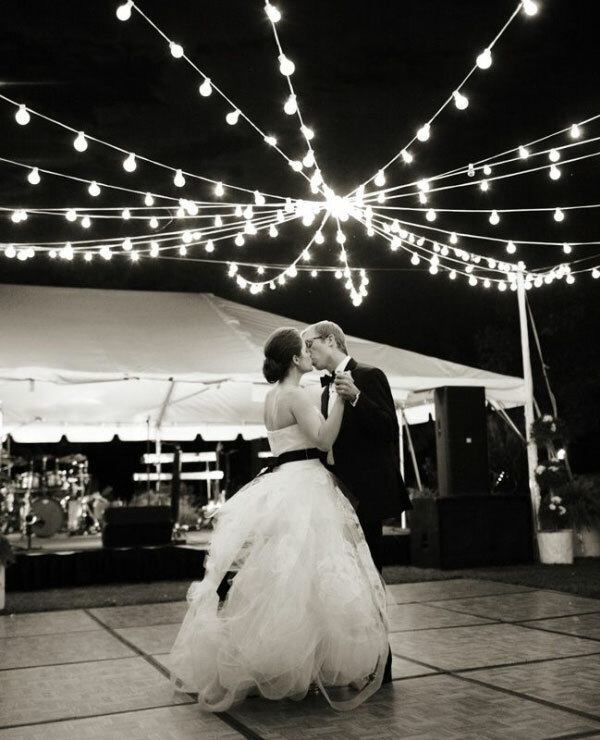 Work with a lighting company to provide strands of lights across the dance floor for a starry night feel in air conditioned comfort. The Fourth of July is a great time to celebrate in Baltimore, the birthplace of our National Anthem, and events in Maryland near the nation’s capital can prove to be fun destinations for out-of-town guests. Fireworks are the perfect backdrop for your pre- or post-wedding event!